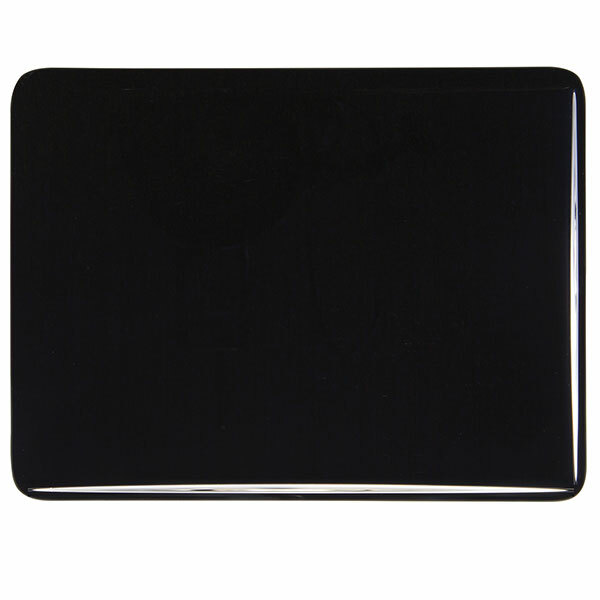 Compared to Black (000100), Stiff Black (000101) has a slightly higher viscosity, meaning that it is a stiffer glass. In most kilnforming applications, Black and Stiff Black can be used interchangeably. Kilnforming applications where differences between Black & Stiff Black might be noticed include working with elevated drop ring molds and kilncasting. 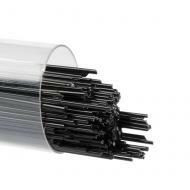 Stiff Black was originally developed for glass blowing purposes such as the Roll-up Technique. Using Stiff Black in kilnformed panels for this application creates a more uniform viscosity, which is easier to control. 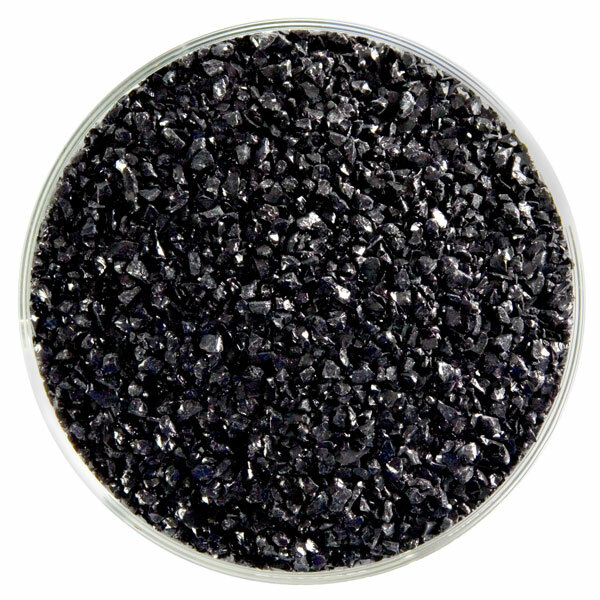 True black, looks identical to Black Opalescent (000100-0576). Torch: Holds a crisp edge in the flame longer & hotter than 000100-0576. 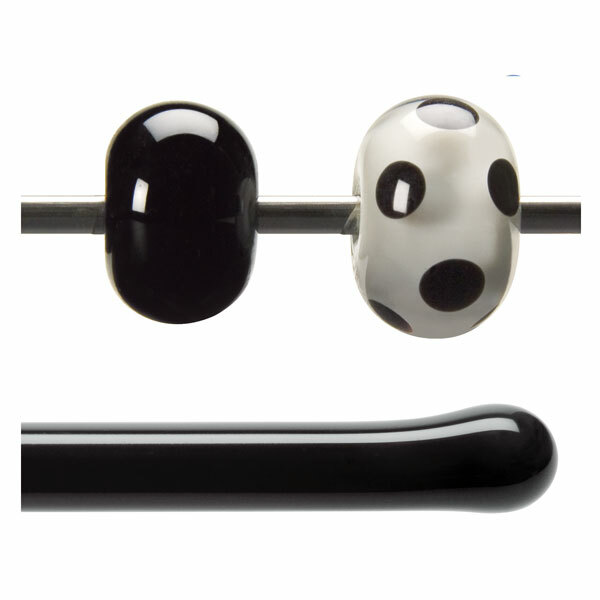 Stiff Black was originally developed for glass blowing purposes such as the Roll-up technique. Labeling is encouraged because it looks identical to 000100-0576.